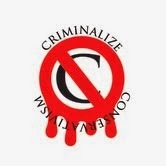 Criminalize Conservatism: MORE New Ideas From Conservaworld! MORE New Ideas From Conservaworld! We thought we were done with discovering all the new ideas from the Conservative "movement," robbing the Middle Class, starving our poor, and killing and robbing everyone else, but we've managed to come up with even more new ideas from your friendly neighborhood Cons! ...and respecting and helping our people to respect their "job creators..."
...and oh, so many more of their other new ideas! And we hope you've been paying attention, because you'll all be thrilled living under the new ideas of Conservatism! Here is one of the sources of the Cons' "new ideas," ideas that rob the middle class and the poor to give to the rich. When the "new" ideas are the opposite of the Robin Hood philosophy, we call it "crime." And when the "new" ideas" steal from the 99 percent, it's obviously anti-democratic, so we have to call the originators of those ideas "un-American."